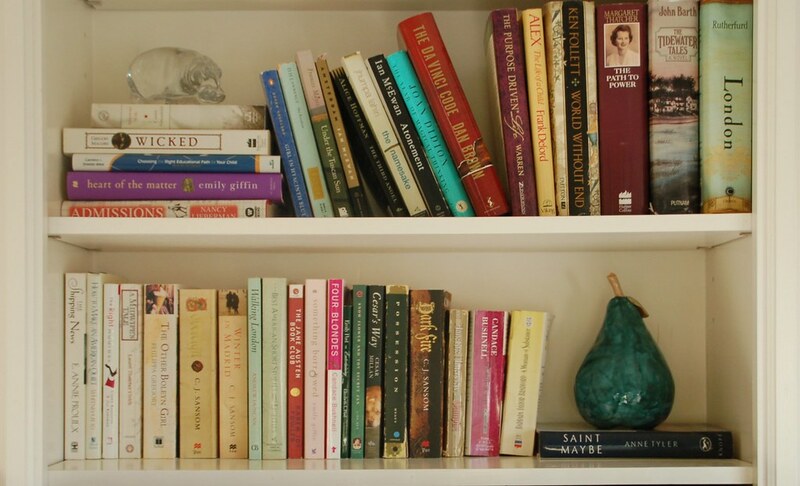 Years ago, I purchased a beautiful green pear sculpture, which had a place of honor in my family room. Just looking at that pear made me happy! However, when our golden retriever Ben joined the family, his large enthusiastic tail knocked my pear off the table. 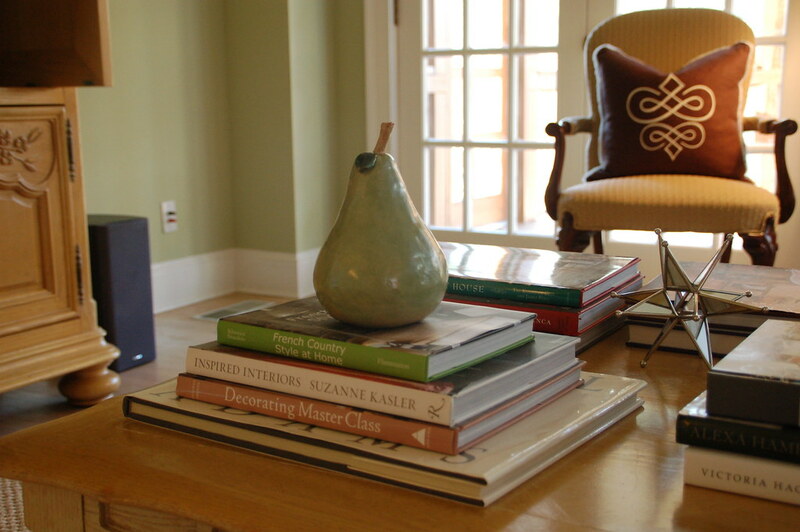 When I saw this picture from Suzanne Kasler's portfolio, I asked her where she got the beautiful pear sculptures on her kitchen table (this image is from her previous house). She purchased them years ago at Lars Bolander's store in New York, and the were one of a kind. I continued to keep my eye out for pear sculptures, and you can imagine my delight when I found the pear artist again recently! I promptly purchased a green pear, and asked the artist if she would like to sell her pears through my store, Quatrefoil Design. The artist is Lisa Olliff, and she has always had a passion for art and sculpture. In recent years she decided to pursue her love for sculpture and pottery, and her skill, talent, and creativity really shine through! Pears are one of her favorite subject matters, for their organic beauty. 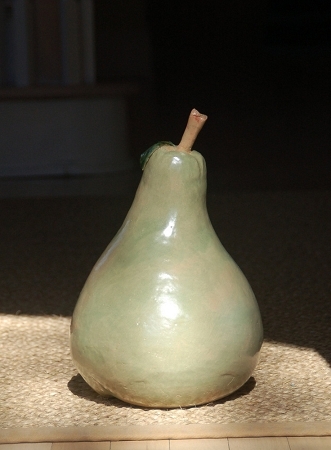 Her pears are so beautiful, and as they are hand made, each has a character of its own. I haven't decided where I will put mine, but there are so many options! They would look great in a small grouping, on a kitchen table, similar to how Suzanne had her pears arranged in her house. 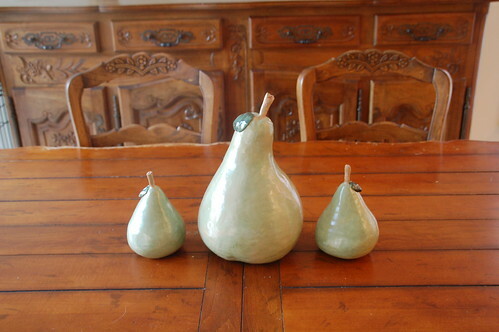 The pears look great as part of a tablescape on a chest. 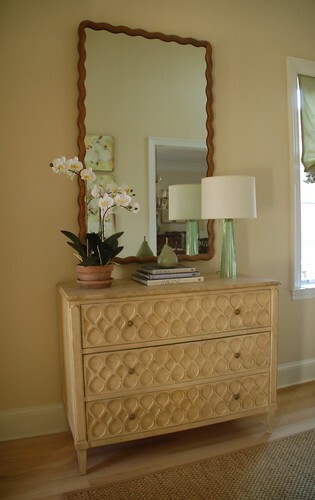 Do you spy the pear in this vignette? We also have a sweet collection of acorns - http://quatrefoildesign.bigcartel.com/product/acorn-sculpture-i is the one in this picture, check the Quatrefoil Design sculpture section in the store for more! The possibilities are endless! If you see a pear you like, and it is sold out, please send an email to me at quatrefoildesign@gmail.com - it is possible to have Lisa make one for you in your desired color and size combination. Keep in mind, though, that each pear is a unique and individual piece of art, and custom orders will have their own unique character. It's part of the beauty of original art! 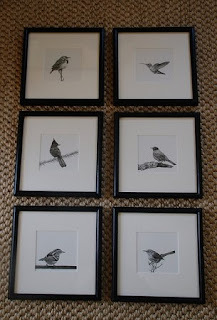 Also just in, six original bird drawings from Melissa Tubbs. These are only in the store once in a blue moon - come check them out! Please vote for me for the Circle of Moms Top 25 Design Blogs! You can vote once per day. Click here to vote. Thank you for your support! I love green pears... 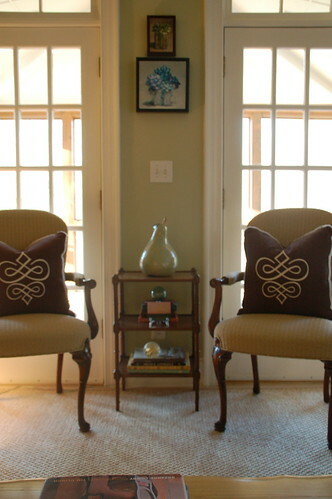 I'm not sure why, but for me, it brings some freshness to the house, some fun and green is such a happy, vibrant color. I have 3 of them in my living room (on a shelf). Hope lots of people buy these beauties! They're really good looking! Lovely find indeed! They are beautiful and are a great accessory that would work in so many places! Great addition to your store! There's something about pears that is so appealing. Love the turquoise one. Beautiful! I especially like the turquoise one. And I'm off to vote for you, Holly. Best of luck! So gorgeous...love the many ways they can be used!! The pears are beautiful but I would be afraid our golden would try to eat it since pears are his favorite fruit! Happy Sunday! So very pretty! Pears always make me smile! Mostly people wants to decorate their homes as latest modern style by choosing their furniture design color contrast its play big role in designing.